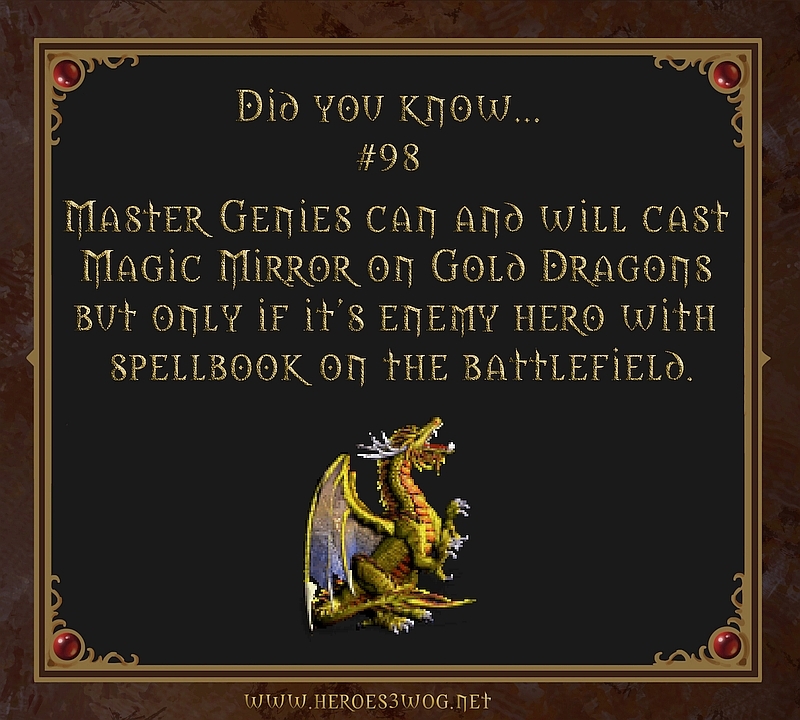 #98 Master Genies can and will cast Magic Mirror on Gold Dragons but only if its enemy hero with spellbook on battlefield. 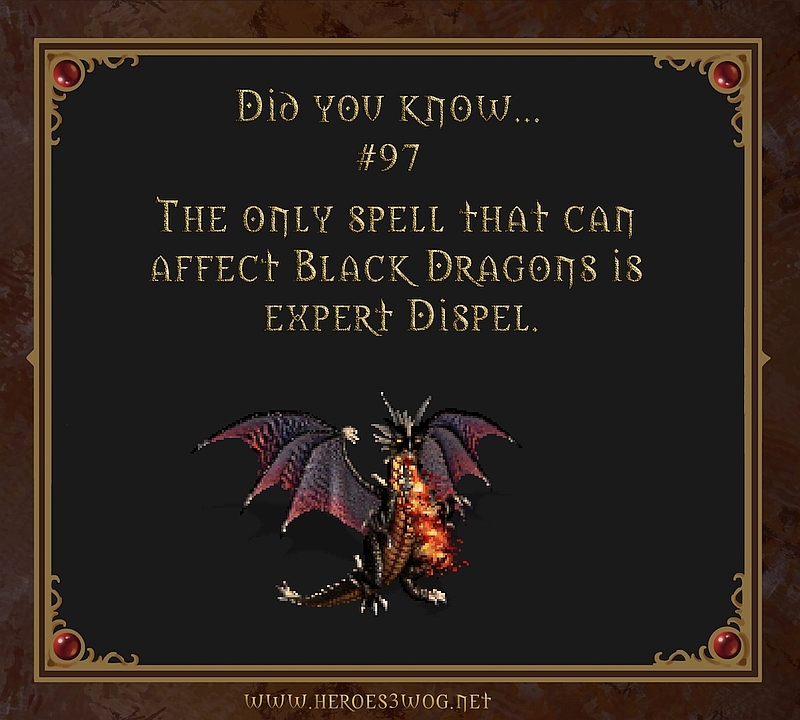 #97 The only spell that can affect Black Dragons is Expert Dispell. You can, for example dispel dendroids‘ binding. 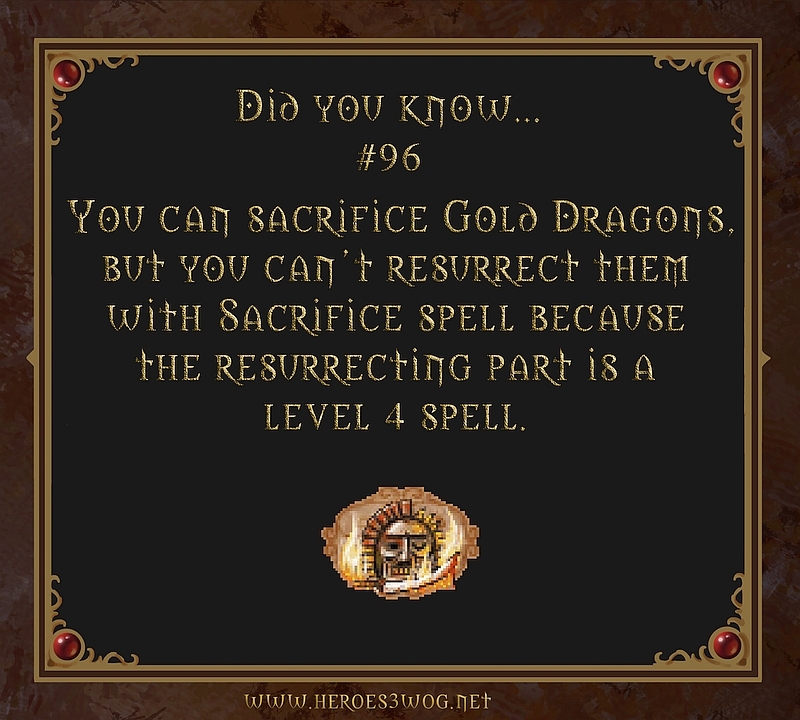 #96 You can sacrifice Gold Dragons, but you can’t resurrect them with Sacrifice spell because the resurrecting part is a level 4 spell. 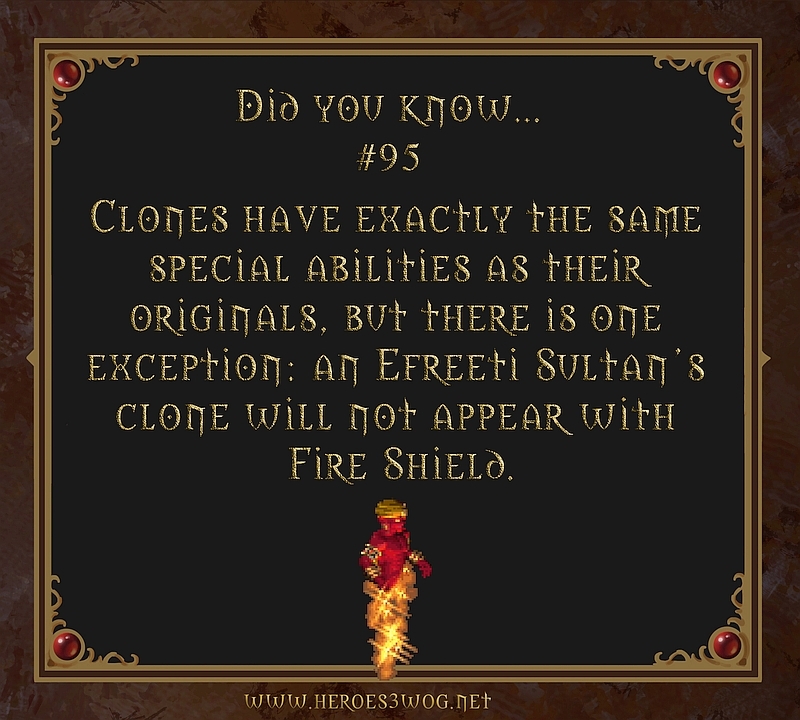 #96 Clone have exactly the same special abilities as their originals, but there is one exception: an Efreeti Sultans clone will not appear with Fire Shield. 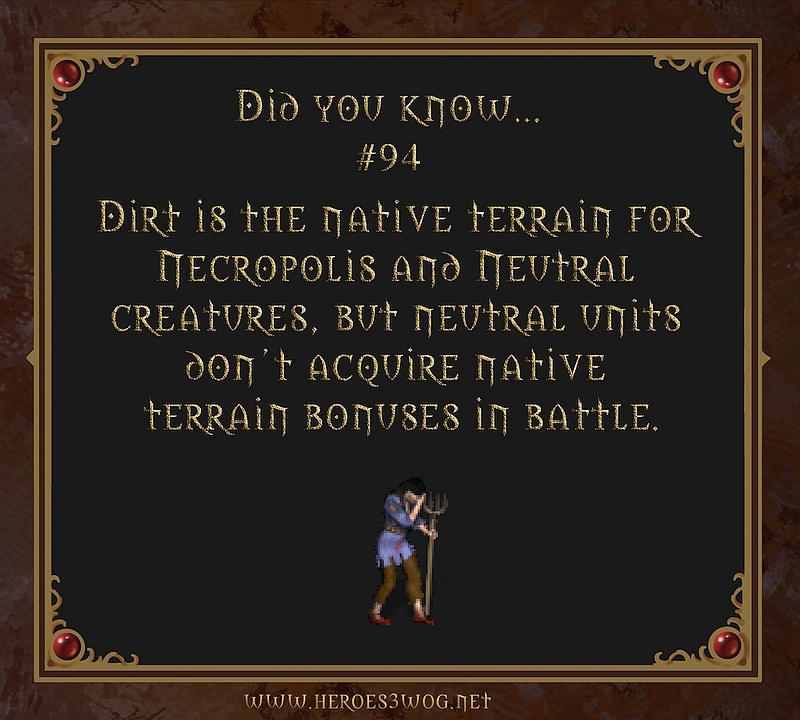 #94 Dirt is the native terrain for Necropolis and Neutral creatures, but neutral units don’t acquire native terrain bonuses in battle. 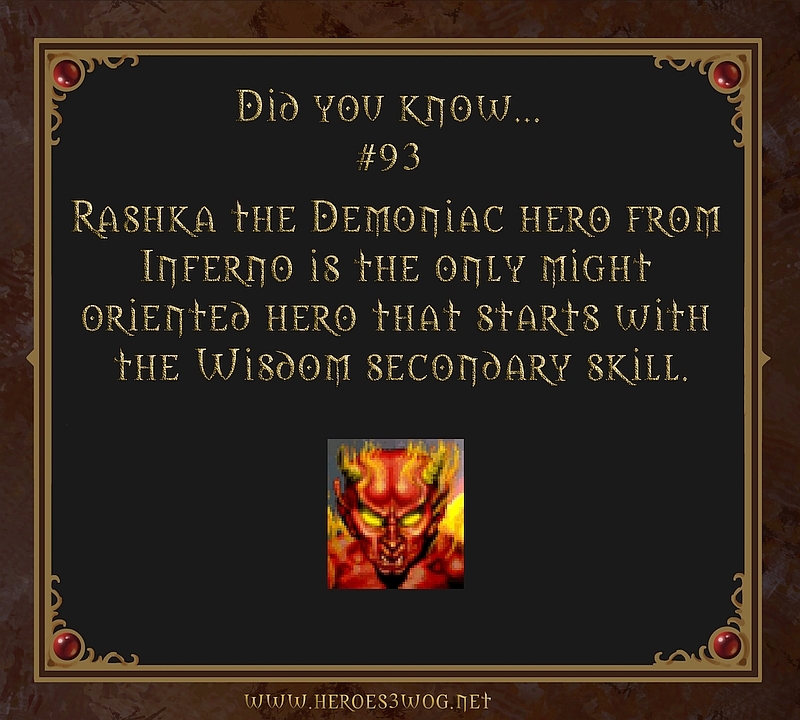 #93 Rashka the Demoniac hero from Inferno is the only might oriented hero that starts with the Wisdom secondary skill. 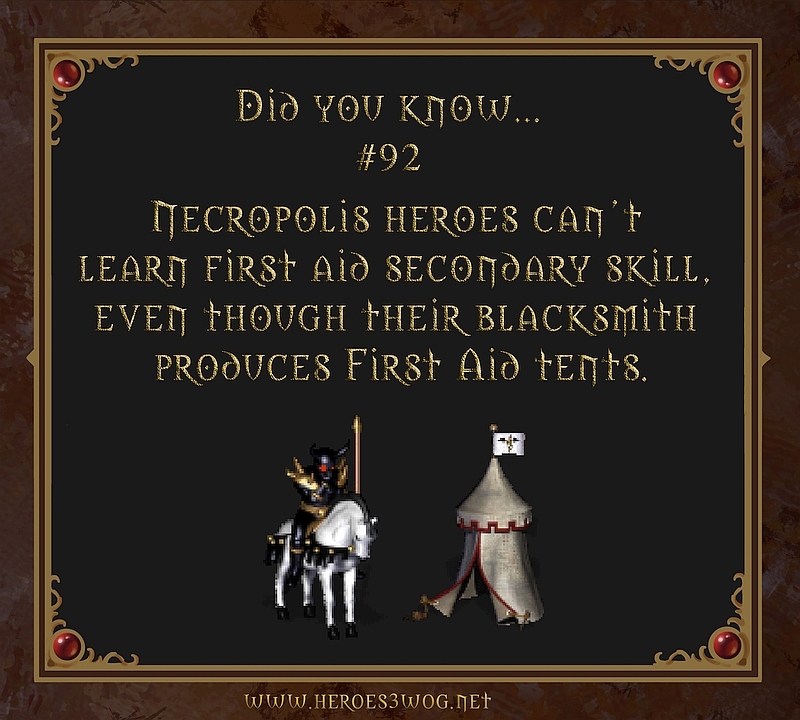 #93 Necropolis heroes can’t learn First aid secondary skill even though their blacksmith produces first aid tents. 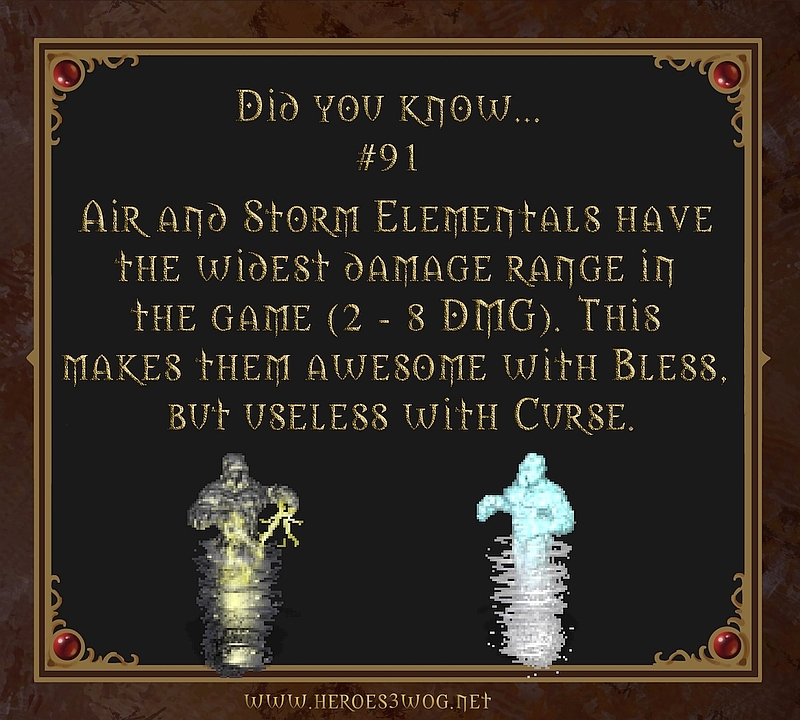 #91 Air and Storm elementals have the widest damage range in the game (2-8). This makes them awesome with bless, but useless with curse.